CALCINED LIME is the best catalyst and base chemical for various useful industrial chemical reactions. HIGH PURITY LIME reduces its consumption in various applications at steel plants, sugar mills, paper mills & at several other industries. 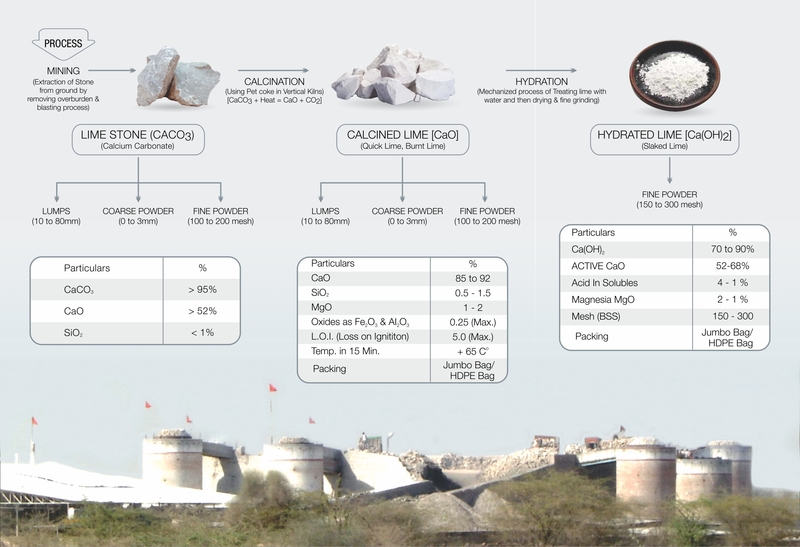 Quick Lime We are specialized in Manufacturing and Supplying high purity QuickLime to Steel, Sugar, Paper, Aluminium, AAC Block, Leather, ETP, Chemicals plants etc. 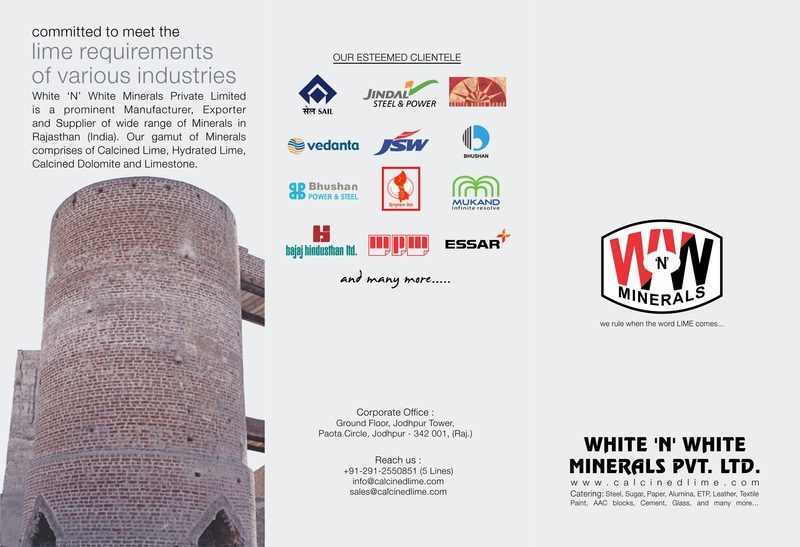 HYDRATED LIME SUPPLIERS to blast furnaces, brick plants, ETP, leather tanneries, paint, chemicals, sugar mills etc.